Comment: Looking for someone to replace the clapboard siding on the dormer on the back of our cape. Comment: I need estimates to replace the wood siding on my 1200sq ft ranch style home. Comment: Rotten trim boards and rot around sliding door and window. Other possible jobs including replacing linoleum flooring in kitchen and bath. Painting. Comment: Vinyl siding on a historic residence/turned into a business location. Comment: One piece of the sidings was blown off by the wind. I have that piece. I would like to find a contrator to put it back. Middlebury Siding Contractors are rated 4.78 out of 5 based on 46 reviews of 8 pros. 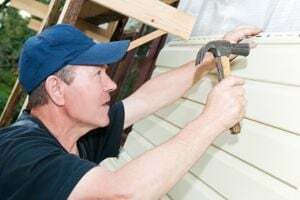 Not Looking for Siding Contractors in Middlebury, VT?